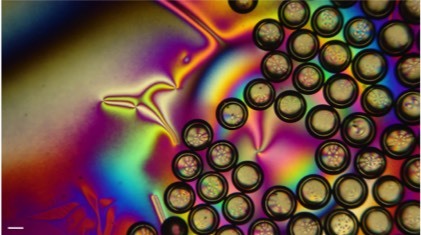 Liquid crystal picture of the month by Anjali Sharma. 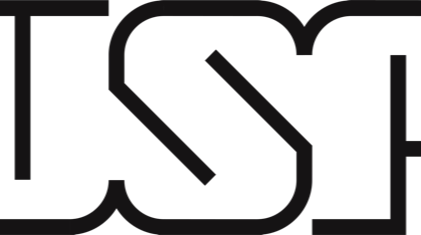 Welcome to the website of the International Liquid Crystal Society (ILCS). On these pages, you will find information about the society, its members, and its activities, as well as other information of interest to people working in the field of liquid crystals or related areas. 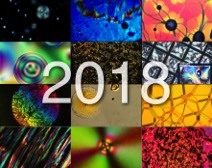 Via our collection of links, you can also find sites where you can learn about liquid crystals, their applications and the research devoted to this fascinating state of matter. Picture of April 2019: LC shells with thin layer of LC, by Anjali Sharma. 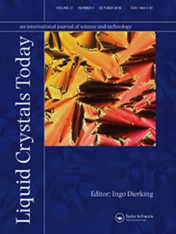 Liquid Crystals Today is the society journal newsletter of the International Liquid Crystal Society. 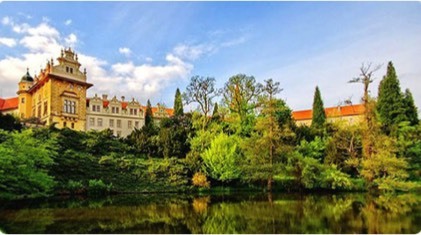 All its content is free of charge to all visitors since January 2013. It is published quarterly by Taylor & Francis and contains a colourful mix of research / review articles, conference reports, book reviews, news items from research and industry, the occasional Editor’s interview, and reports of liquid crystals in public engagement.